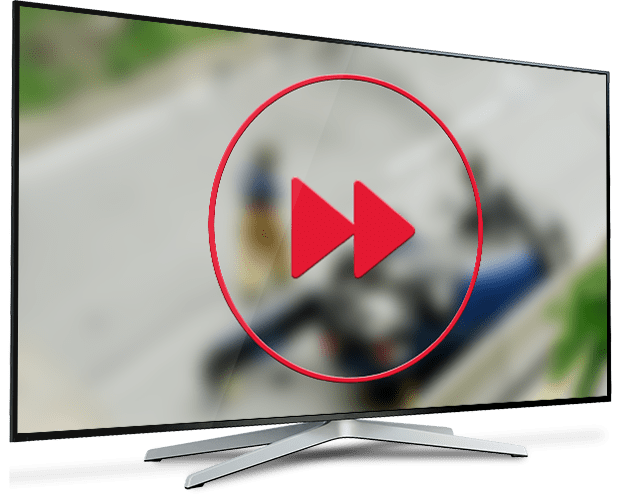 DISH Movie Channels FAQs | What is the DISH Movie Pack? What is the DISH Movie Pack? The DISH Movie Pack is a premium channel package that includes 15 movie channels, including Hallmark Movies & Mysteries, Movieplex and EPIX. 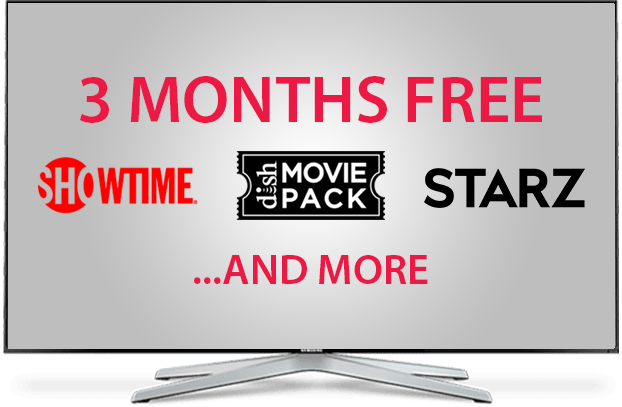 This add on package is included free for 3 months with qualifying new TV packages. * After 3 months, watching DISH Movie Pack is just $10 per month. Explore the DISH Movie Pack! 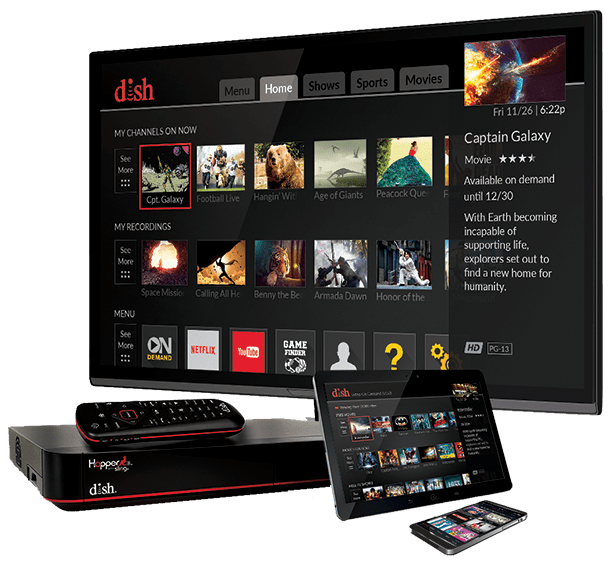 How to Get Free Movies on DISH Network? DISH customers can enjoy premium channels free for 3 months* when they subscribe to qualifying TV packages. DISH On Demand, which includes movies, is part of your DISH TV package and can be watched from your Hopper any time. DISH Anywhere also includes movies, available when you log in with your DISH username and password. What Are the Movie Channels on DISH? DISH Network offers dozens of movie channels in multiple TV plans and add on packages. 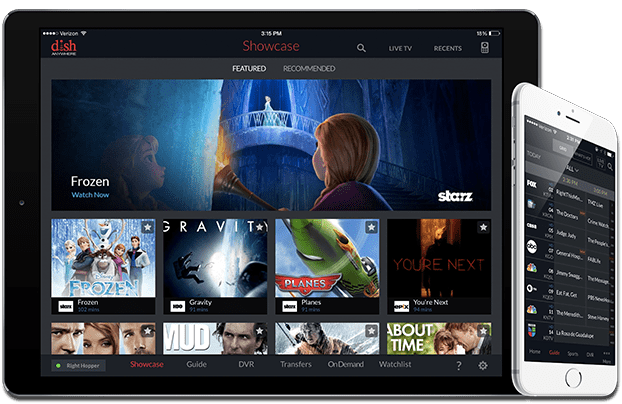 With options from SHOWTIME, STARZ, EPIX, The Movie Channel and more, you can build a TV experience with all the movie channels you love. What Movies Are On DISH? 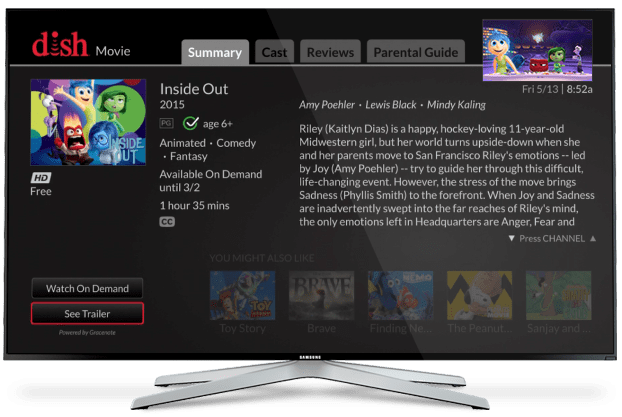 DISH offers movies on dozens of channels, DISH On Demand, DISH Anywhere and Pay-Per-View. You can watch old favorites and new releases, in your home or on-the-go. DISH often has new movies weeks before Netflix or Redbox! To find the latest movies, search your TV guide and Hopper. What Channels Are in the DISH Movie Pack? DISH Movie Pack includes 15 channels filled with the movies you love. HDNET, Crime & Investigation Network, multiple channels from STARZ, Movieplex, EPIX, FXM and PixL are all included. With tons of channels to choose from, there is always something for the whole family to enjoy. Are DISH On Demand Movies Free? DISH On Demand includes both free movies and movies for rent. 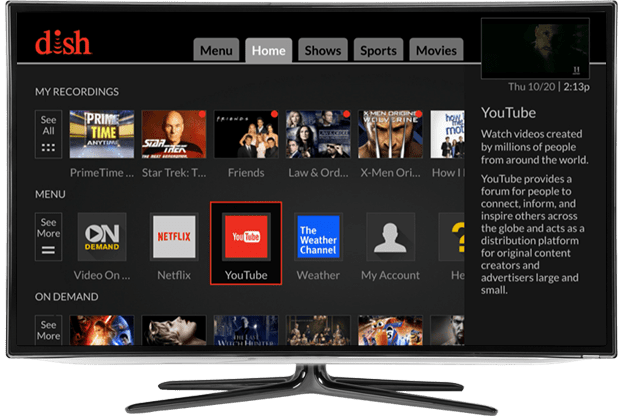 The movies you can watch for free are based on your TV subscription; if you subscribe to movie channels, the movies on those channels are available with DISH On Demand. There are also movies available to rent using Pay-Per-View, including new releases – before they’re on Netflix or Redbox. What is Blockbuster At Home?